We recently found three patients (all females) with this association presenting with heart failure due to MR. Symptoms started at the age of 3-7 years. 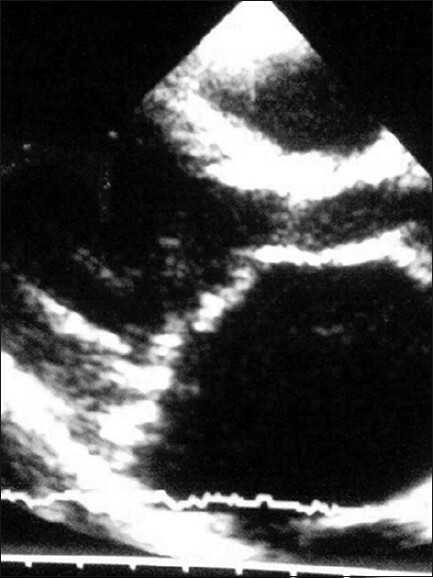 All patients had echocardiographic thickening and retraction of both mitral valve leaflets and a zig-zag appearance of anterior leaflet which coapted superior to the posterior leaflet [Figure 1] and [Figure 2]. Severe MR was seen in all patients. The left ventricle ejection fractions were 60-65%. The usual cause of MR in patients with NCVM is mitral valve annular dilatation due to myocardial dysfunction, however, ejection fraction was preserved in our patients. In addition, changes in the leaflets indicated a distinct pathology. Fibrotic and calcific changes were documented on histopathological examination in one of our previous patients as well as in a series of 14 patients reported by Burke. , These reports support our observations. Distinction of this new association from rheumatic MR is particularly important especially in older patients. In rheumatic MR, the posterior mitral leaflet is usually retracted and tethered to the left ventricle posterior wall while the anterior leaflet is hypermobile (personal observations), findings not present in our patients. 1. Hare JM. The dilated, restrictive, and infiltrative cardiomyopathies. In: Libby P, Bonow RO, Mann DL, Zipes DP, editors. Braunwald's Heart Disease A textbook of Cardiovascular Medicine. 8 th ed, Vol. 2. Philadelphia: Saunders Elsevier; 2008. p. 1739-62. 2. Sulafa KM, Omran AS, Najm H, Godman MJ. 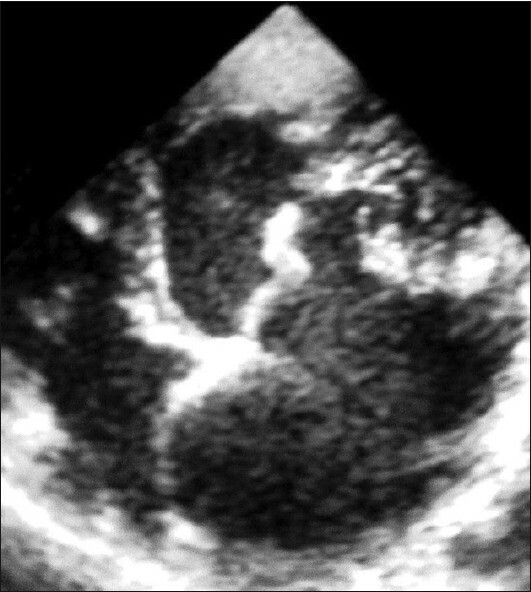 Noncompaction of ventricular myocardium with mitral regurgitation and preserved ventricular function. J Am So Echocardiogr 2004;1:87-90. 3. Sulafa KM Ali. Noncompaction of the ventricular myocardium and mitral regurgitation: A unique association. Congenital Cardiology Today 2008;6:9-11. 4. Burke A, Mont E, Kutys R, Virmani R. Left ventricular noncompaction: A pathological study of 14 cases. Hum Pathol. 2005;36:403-11. 5. Sulafa KM Ali. Unique features of noncompaction of the ventricular myocardium in Arab and African patients. Cardiovas J South Afr 2008;4:195-9.